This book provides readers with the latest developments in neurosciences research. Chapter One provides a selective overview of the empirical contributions available in the last decade for promoting independence and self-determination of children with rare genetic syndromes and severe to profound developmental disabilities through cognitive-behavioral interventions and assistive technology-based programs. Chapter Two evaluates the influence of VPA and LEV as monotherapy on vitamin D status among children with epilepsy. Chapter Three characterizes the intercorrelations and different factors contributing to whole brain voxel-wise blood flow measures based on standard imaging metrics. 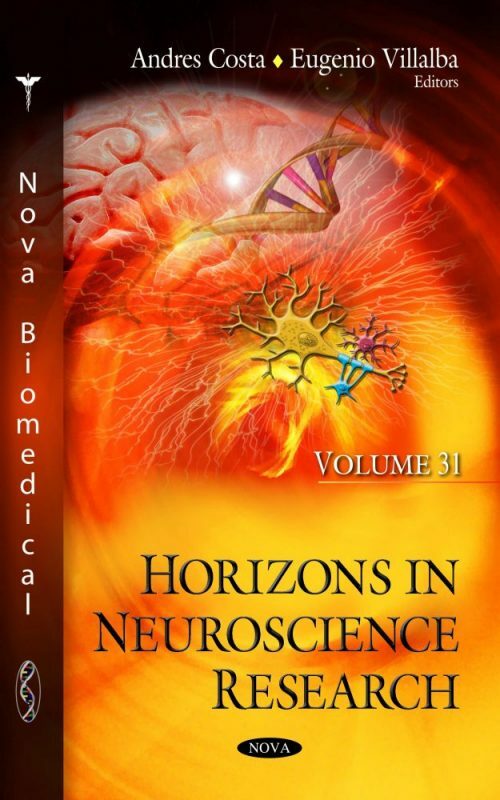 Chapter Four summarizes current knowledge about the determination of individual subunits of the neurofilament triplet in cerebral and spinal cord ischemia. Chapter Five provides a new approach to the restoration of degraded visual functions and expands our knowledge of perception and consciousness. Chapter Six describes PlaymoCase as a means of a play-therapeutic approach with the regard to its content and its relationship to the Operationalized Psychodynamic Diagnosis in Childhood and Adolescence in the revised version (OPD-CA2). Chapter Seven discusses structural linguists and how speaking amounts to transforming a structural order into a linear one, and understanding a sentence to turning a linear order into a structural one. Chapter Eight investigates the responses to images of human faces in which the spatial Fourier spectra have been manipulated. Chapter 7. Implicit Natural Morphosyntactic Learning Is the Learning of What?